For a third consecutive year, Osceola Consulting is proud to be a corporate sponsor of this flagship fundraising and health awareness event. This year, Osceola teams from all over the U.S. participated as virtual walkers in support of the San Diego event. Teams from New York, Chicago, San Francisco, Los Angeles, and San Diego participated, as well as from the Osceola Technology Delivery Center in Cabazon, CA. Special thanks to the 34 Osceola consultants who participated -- raising over $2,500 in contributions together with matching contributions. Lung cancer is the #1 cancer killer of both women and men in the U.S., and every five minutes a woman in this country learns she has lung cancer. 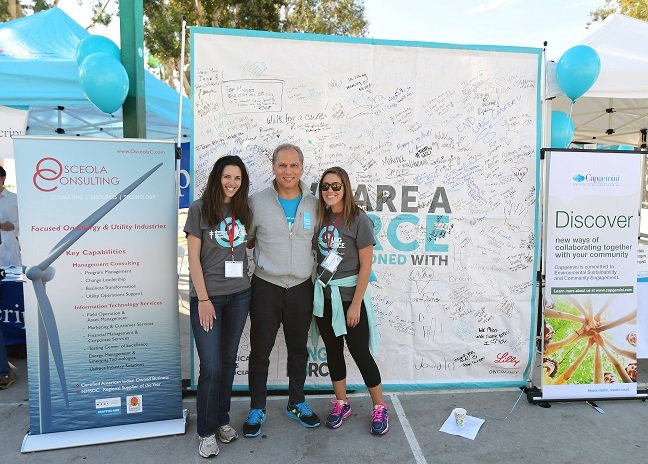 LUNG FORCE, led by the American Lung Association, unites men and women and their loved ones across the country to stand together against lung cancer.